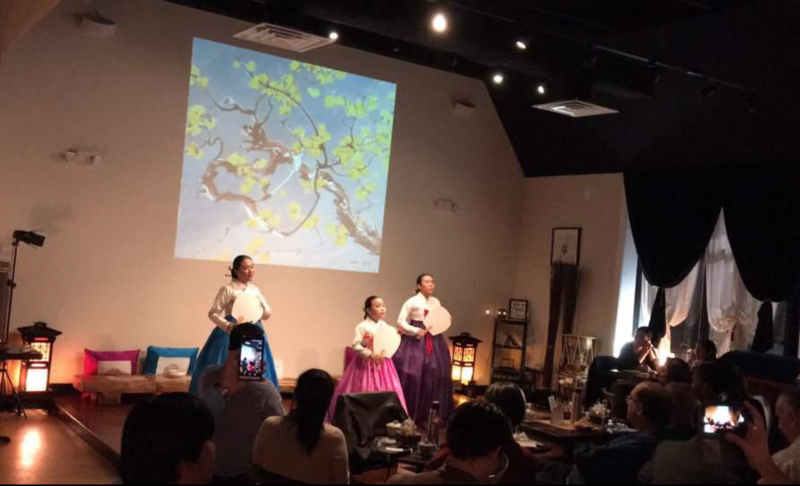 sell a variety of Korean traditional teas and try to performance by Korean traditional performance group and other musicians. Soricha T&T also offers space rental to performance or concert and displays some art work. If you want to display the Screen spot and wall in Soricha, do apply to Soricha Art Gallery. Soricha Tea & Theater rents the theater to performers as well as inviting other artists to perform. From Korean traditional music to classical music, the theater offers a variety of performances for the audience. ​Ticket prices may vary depending on the event. Pansorist Saebom Shin offers her rendition of pansori, a traditional Korean vocal music, in this New Year performance. Ms. Shin performs danga: Sacheolga, Pansori: Chunhyang-ga& Simcheong-ga, Poet:Jinee Hwang’s Longing for the Moon, and the Folk song: Taepyung-ga.
ABOUT THE ARTIST.Shin saebom is a musician and singer who majored in Pansori, a genre of traditional Korean music. From early childhood, she had an interest in traditional Korean music and started learning Pansori. She had learned a variety of songs like Chunhyang-ga, Simcheong-ga, and such under several notable singers. She won numerous awards in many prestigious national Pansori competitions, including Dong-A Traditional Korean Music Competition. After completing her studies in Seoul National University, she has been active as a singer not just in the field of Pansori but also various genres of music. As a member of World music group Yoonseul project, she appeared on lots of stages and concerts in Korea, including at Maria Callas Hall in Seoul and World Music Market APaMM Choice Showcase in Ulsan. She also released several albums, including ‘Spring—Sacheolga Part 1.’ Through her songs, you can feel and experience traditional Korean music in a new perspective. 신새봄 판소리 발표회가 오는 1월7일 월요일 저녁6시30분에 애난데일 소재 워싱턴소리차극장에서 펼쳐집니다. 새로운 방식의 음악적 교류를 선보일 예정입니다. 특히 한국은 물론 미국에서 선보일 새로운 곡들도 초연됩니다. 임에대한 그리움을 달에 비유하여 새롭게 김진수씨가 작곡한 [저달의 그리움], 단가로[ 사철가], 판소리로 [심청가 중 눈뜨는 대목]과 [춘향가 쑥대머리], 민요로 [태평가]가 있습니다. 한국전통창법으로 부르는 다양한 장르의 곡을 통해 전통소리란이 무엇인가를 보다 깊이 느껴볼 수 있는 시간이 될 것입니다. 한국에서 온 소리꾼 신새봄씨, 뉴욕에서 가야금연주자 및 기획자로 활동하고 있는 서라미씨가 함께 합니다. 이메일 soricha2015@gmail.com / ramiseo.com@gmail.com 으로 문의하시기 바랍니다.